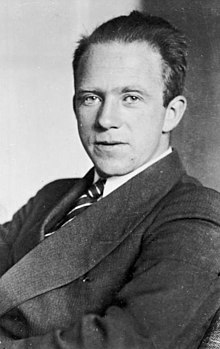 ↑ ၁.၀ ၁.၁ "Werner Heisenberg 5 December 1901 – 1 February 1976" (1977). Biographical Memoirs of Fellows of the Royal Society 23. Royal Society. doi:10.1098/rsbm.1977.0009. ↑ The Nobel Prize in Physics 1932။ Nobelprize.org။ 2012-12-07 တွင် ပြန်စစ်ပြီး။ This source explains that Heisenberg actually received his Nobel Prize for 1932 one year later, in 1933.